There is no denying it anymore! The Holidays are upon us and its time to start dressing for them! Today’s post features a casual look for the holidays. One that can take you from Christmas dinner with the girls to a festive holiday brunch. It is a no-brainer, a healthy dose of red that instantly makes you look festive. 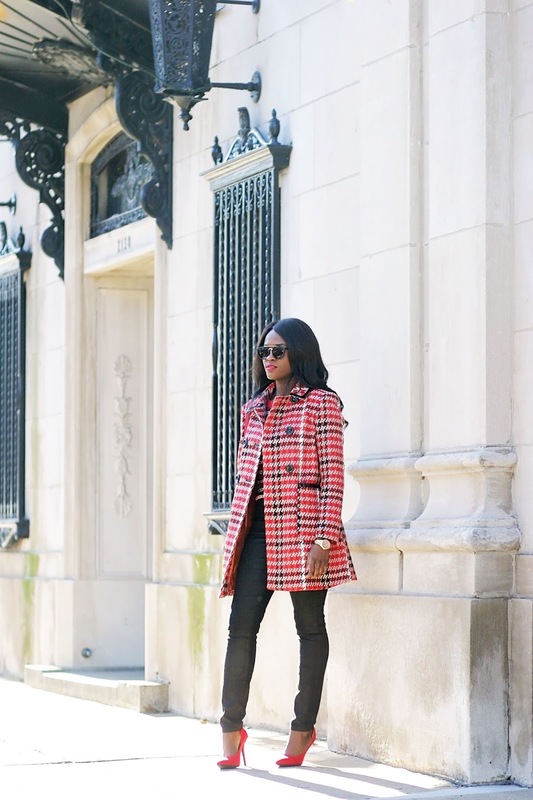 The best part is, you probably already have these staples in the closet, and these pieces can be worn in the Winter, way after the holidays are over. 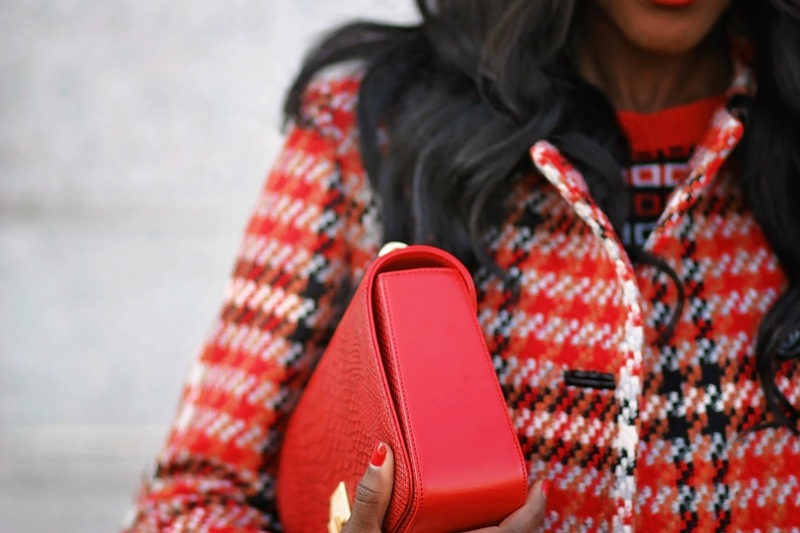 Clad in a statement coat in a gorgeous shade of red, it is the focal point of this look. 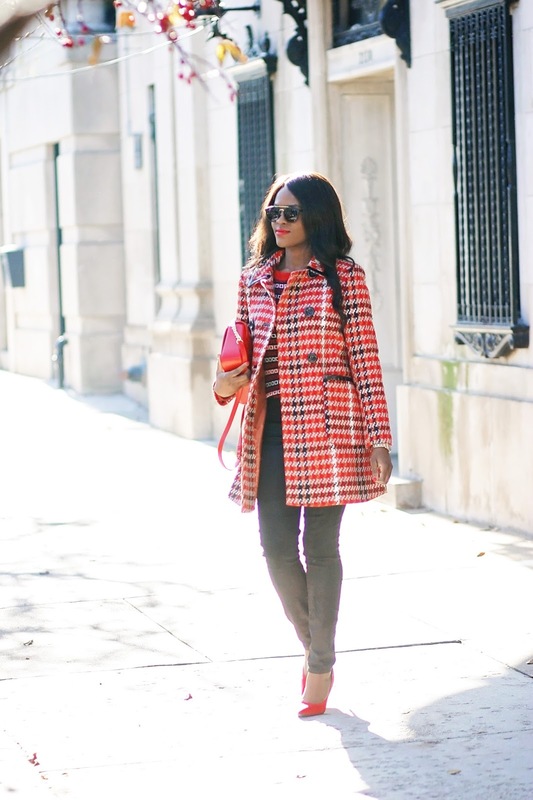 I am positively convinced that having a statement coat is a Winter ‘must-have’ in my books. Something to brighten up the day on those long cold Chicago Winter days. 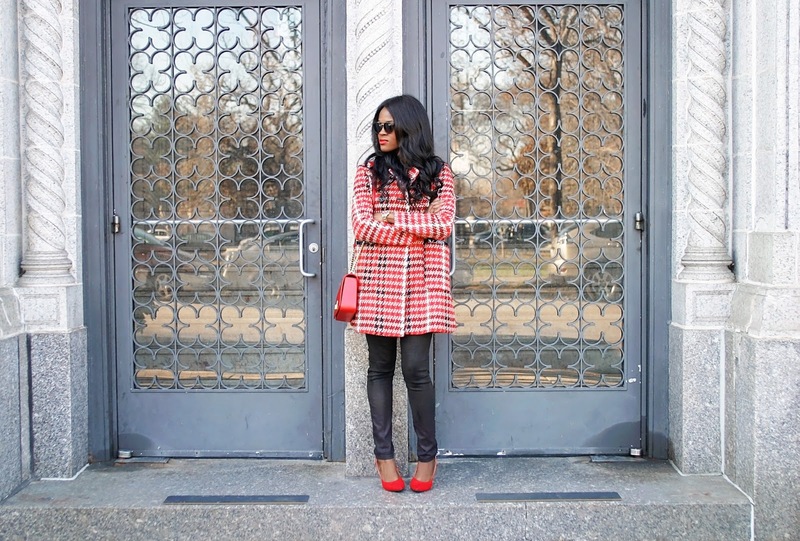 Complementing this insanely gorgeous coat is a cute bag and heels in a matching shade of red. Faux leather pants and a patterned sweater completes the look. Sunnies add some cool chic vibes and voilà, a perfect casual holiday look!